Intimate Acoustic Performance. Limited seating. Performing hits from Zebra, Led Zeppelin, The Beatles, Bowie, Moody Blues. All tickets include Show Poster, Post show Q & A and Meet and Greet, and Digital Download of the performance. Randy Jackson was born and raised in New Orleans, Louisiana. He started playing piano and guitar at age 5. His earliest influences were Les Paul and Mary Ford, The Beatles, The Allman Brothers, Cream, Jimi Hendrix, The Moody Blues, and Led Zeppelin. In 1973, he joined “Shepards Bush” as lead guitarist. It was here that he met Felix Hanemann. Randy and Felix left “Shepards Bush” a year later. They soon met drummer Guy Gelso and formed “Zebra” in 1975. It was at this point that Randy started singing lead vocals. After playing the New Orleans area for a year Zebra moved to New York and in 1982 signed a recording contract with Atlantic Records. Their first album, “Zebra”, went Gold and became the fastest selling debut album in the history of Atlantic Records. During the next couple of years Zebra played opener for Aerosmith, Journey, ZZ Top, Loverboy, Cheap Trick, Sammy Hagar and REO Speedwagon. The group has produced 5 albums and 5 videos with combined sales of over 2,000,000!!! In 1989 Randy got a call from Kenny Arronoff to join him and tour playing guitar and keyboards with the original “Jefferson Airplane” (Grace Slick, Marty Balin, Paul Kantner, Jorma Kaukonen and Jack Casady) on their U.S. reunion tour! 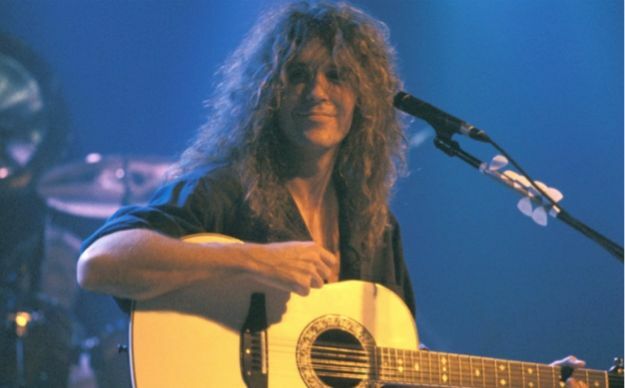 “Randy Jackson’s China Rain”, a project that featured songs co-written with Mark Slaughter and Jack Ponti was released in 1993 in the US, Europe and Japan. In 1992, Randy started performing “Solo” live with the use of a MacIntosh computer he programmed to perform the Drums, Bass and Keyboards. Randy has also programmed the computer to run the Sound and Lights during the show! He toured all over the south and the Northeast U.S. with the show. From 1992 to 1996 Randy was involved with Lonestar Technologies (Long Island) in the hardware and software development of an Interactive Multimedia Musical Instrument called “The Key” which allows anyone to play music instantly. Jon Anderson of “Yes” used “The Key” to perform live and wrote many songs with the instrument during that time. Randy recently completed work on “Zebra IV” which was released on July 8th, 2003. He produced and engineered the entire CD. In September 1995 Randy performed his first show with a symphony in Norfolk, Virginia with the Virginia Symphony singing lead vocals and adding acoustic guitar to the Virginia Symphony’s performance of the music of Led Zeppelin with conductor Brent Havens. Today Randy continues performing the shows nationwide to sold out audiences and is also performing The Music of “Pink Floyd”, “The Doors”, and “The Eagles”.